We all know that the sizing of the Paneled Sunsuit is from newborn to 12 years, but for day seven of the “Not Just a Sunsuit” tour there are some great “older kid” looks that really show how the pattern will work for the non toddler/babies. 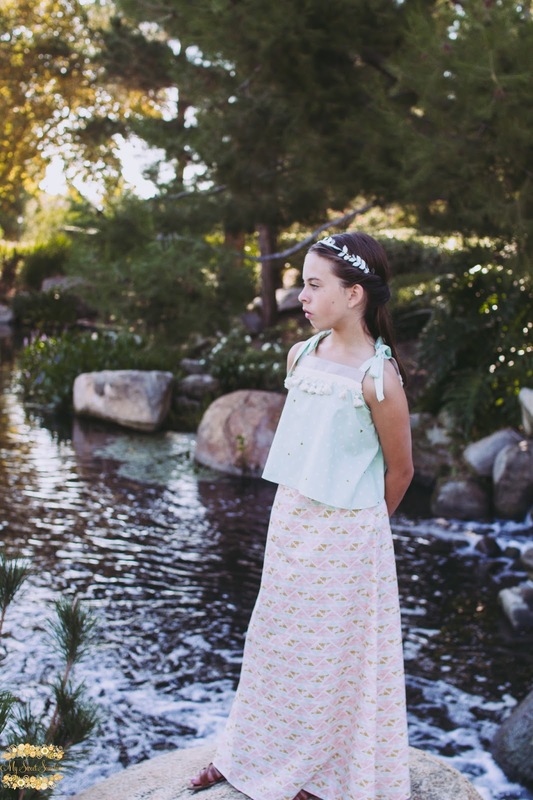 I had the tween agers in mind when making some of the separates options, so I love seeing them in use. First we have Alexis from My Sweet Sunshine. She altered the top view to make it a little more billowy and paired it with a maxi skirt for her girl. You can see the amazing details and the changes she made here. Kelly from Handmade Boy let her daughter choose the style she wanted, which could have been risky, but turned out excellent! See more pics of the skirt and styling on her full post. 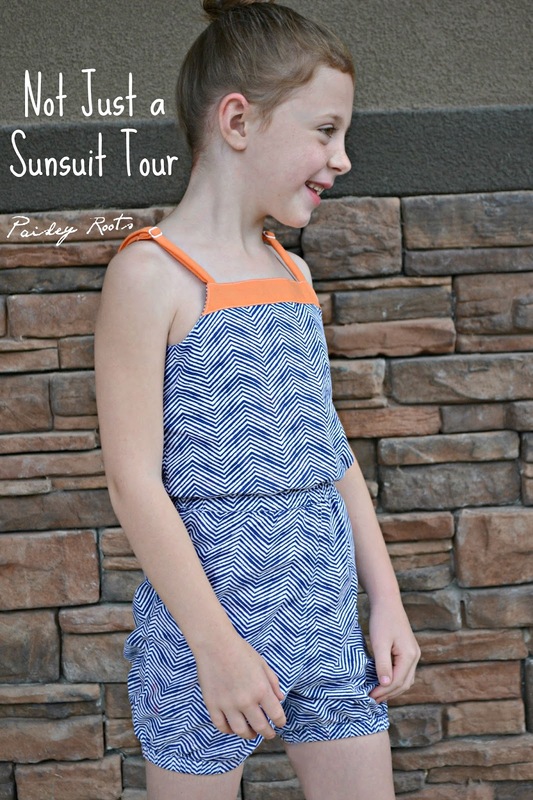 Karly from Paisley Roots made a fun sunsuit in some funky fabric! Hop over to see the minor changes she made and to see how it looks paired with a jacket. And talk about comfy!! 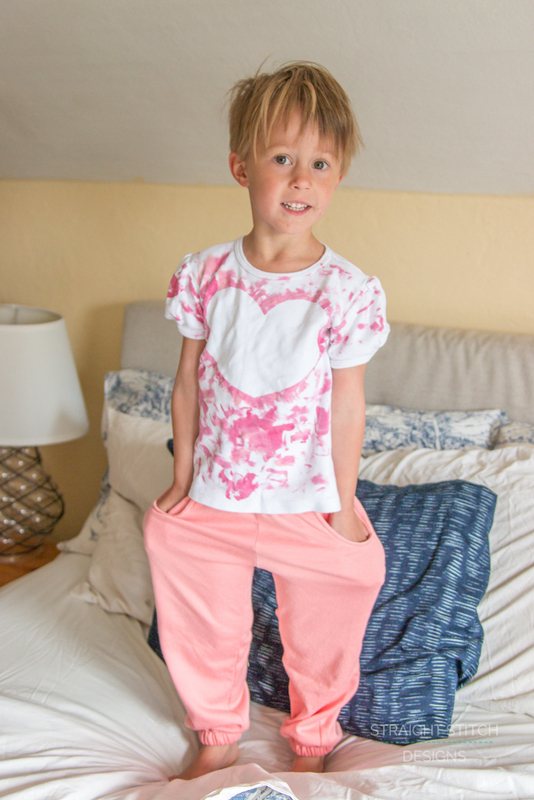 Kimberly from Straight Stitch Designs made the comfiest looking pair of pj pants ever. I have some of the same stretch french terry she used so I can confirm the cozy factor. You can see her full post here.